Sell a House Fast In the Roseville Area or Northern CA. 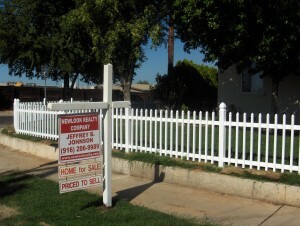 Who Else Needs To Sell Fast In Roseville And The Surrounding Area? In as little as 7 days (or whenever you choose), you can end your hassles and headaches — We want to buy your Roseville property from you right away. Avoiding foreclosure? Downsizing or retiring? Facing divorce? Going through probate? Upside down in your mortgage? Have expensive repairs that you don’t want to pay for? Whether your house is a bad rental, vacant, or even uninhabitable and fire damaged, we’re here to help. 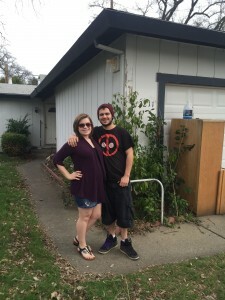 We buy houses fast in Roseville and the surrounding areas. We pay cash, we close quickly, and there are NO fees or commissions. Do You Need To Sell Your House in Roseville? The traditional way to sell your house is through an agent. However, that’s not the right option for everyone. An agent will probably get you to pay some money up-front to fix-up and clean-up your house; then they’ll list your house (which can take an average of 3-6 months to find a buyer). If the agent does find a buyer, you’ll have to pay the agent thousands of dollars in commissions. Paying… waiting… paying more. That might work for some but it’s not ideal for everyone. Fortunately, there’s another approach, and that’s where we at NewLook Realty Company can help. We won’t list your house (like what an agent does), we plan to buy it ourselves, and we have the funds available to close right away. So that means you don’t have to fix up the house, you don’t have to wait to find a buyer, and there are NO commissions or fees. … we’ll make you an offer. If you accept the offer, you tell us when you want the money. We can close in as little as 7 days. You put the money in your pocket and finally walk away from that unwanted, expensive, stressful property. Here’s what to do next: If you’d like to get a fair, all-cash offer from us, just fill out the form below. We’ll get back to you within 24 hours with our offer. There’s no obligation so you can take it or leave it (but isn’t it nice to know what you can get for your house from us before you make any other decisions?). Then just tell us when you want to close! We keep it simple and straightforward for you. We’ll buy houses in any condition, any situation, and any time-frame. Ultimately, we want to help homeowners who are stressed out by their properties and just want to get rid of them… and we’ll pay a fast, fair price to buy your Roseville house. We help property owners just like you, in all kinds of situations. Whether divorce, foreclosure, death of a family member, burdensome rental property, and all kinds of other situations. We buy houses in Roseville and surrounding areas and pay a fair cash price, fast. Sometimes, those who own property simply have lives that are too busy to take the time to do all of things that typically need to be done to prepare a house to sell on the market… if that describes you, just let us know about the property you’d like to be rid of and sell your house fast for cash. If you’re fed up with the stress and headache of owing a house you no longer want… and if you don’t want to put up with the additional trouble of listing your house through an agent (and then PAYING and WAITING to sell) then simply fill out the form above and sell your Roseville house to us fast. (If you’d prefer to talk to someone in our office first, before filling out the form, we’re here to talk to you! Just call us today at 916-943-4161.) Sell My House Fast Roseville!